Our Power Buggies cover a wide range of projects small and large. Depending on the size of project it is important to place the concrete as quickly as possible. Our consultant or sales team can help if needed. 16 cubit feet top capacity; max. load 2500 lbs. 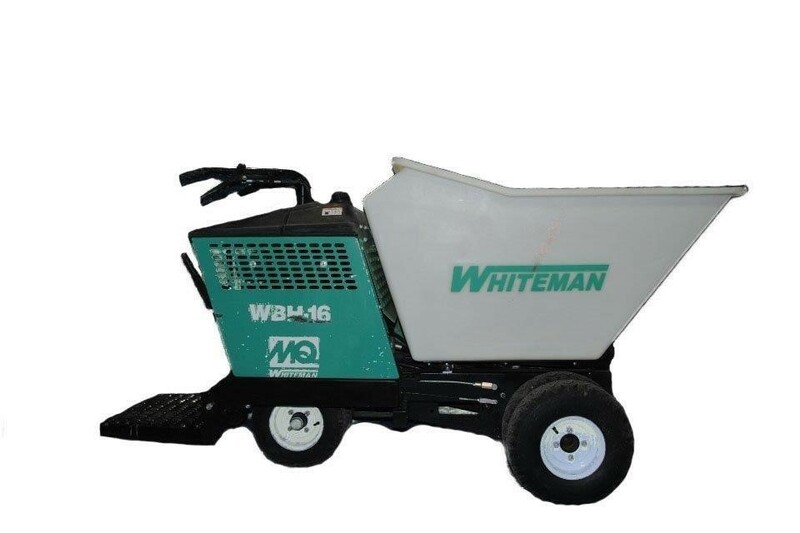 The Whiteman WBH-16 Series power buggy has earned a reputation as the most durable and dependable design on the market.